I’ll bet there’s somebody in your family who does what I do. Maybe not everyone has heard that Uncle Fred spent time in prison or that Grandma Myrtle once owned an establishment that was, shall we say, less than savory. I’ll bet there’s somebody who knows these things, however. Somewhere, someone knows. In the Hart Family, I’m the one who knows. By choice. Because I like the stories. Because I love the pictures. Oh, I can’t claim to know all of the stories…I probably don’t know half of them. However, I listen as the family gathers around the Thanksgiving table or celebrates the latest family wedding or has a drink or two in the evenings. I am the one who remembers the stories. I am the one that knows the secrets. I am the Skeleton Keeper. 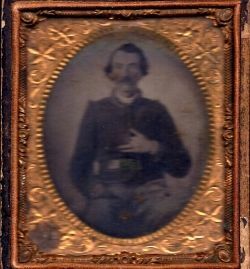 Great Great Grandfather Esau Stephens – 1860s Before me, my grandmother kept the pictures and the tales behind them. A hundred years of thousands of pictures with as many secrets. They were the only things I wanted to inherit from her. When she died in 2000 at the age of 89, I got the pictures. Thousands of them. They sat in my garage for nearly six years until I cleared my calendar and my office and began to sort: by the branch of the family, then by year. I sorted through those hundred years told in thousands of pictures. Some were brittle, most faded. I knew some of the histories, of course, but not all. Finally one day in 2007, my mom and I looked through the photos one more time. That was when Mom imparted her knowledge of the stories behind those faces. The tales she had heard of Thanksgiving tables and wedding cakes and evening cocktails. The stories that were written nowhere. The stories that might die someday just as my grandmother had — just as my mother would. Except that I have them now. My great grandfather sued his son (my dad’s step-dad). He wanted the money he had paid for his son’s college education returned (all because the boy had married my wild grandmother Cecelia). My grandmother, Cecelia’s idea of babysitting my toddler father, was to thread a rope through the belt loops of his pants and tie him to a post. Dad merely removed the pants and ran the neighborhood freely for a few hours until his mother’s return. My grandmother Cecelia was not the only wild one in the Duplessis family. 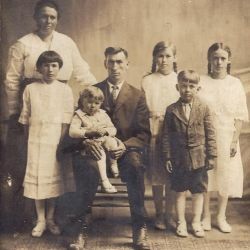 My uncle Mitchell is my cousin — when Cecelia’s sister Evangeline gave birth out of wedlock, Cecelia and her fourth husband Ted adopted the boy. To get to California, my maternal grandparents agreed to drive a brand new car from Iowa to a dealership in Southern California. It was a common practice in the 1930s. Even as late as 1945, my great maternal grandparents refused to have indoor plumbing because it was “too filthy.” Instead, in winter, they used chamber pots. When he was seventeen, my brother Scott stole a car from the California garage of a vacationing neighbor and drove cross-country to Maine. He was stopped and ultimately arrested when a state patrol officer in Maine noticed that one of the headlights was out. …and why is she writing on Squidoo it? 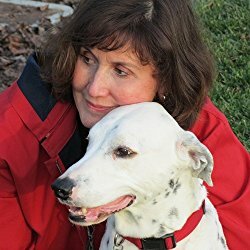 Author Lori Hart Beninger with Zack Squidoo is a great place to express yourself and tell the world about the things that interest you most. So that is exactly what I’m doing. I have eclectic tastes and interests, and my lenses on Squidoo reflect that. I am most proud, however, of being a writer. Because how else could I tell you about the things I treasure most? Publishers Weekly calls it “historically evocative.” ForeWord Reviews says it is a “journey worth taking.” The Historical Novel Society highly recommends it. Embracing the Elephant is a compelling historical fiction adventure set during the California Gold Rush. It is a compelling story about one child coming of age at precisely the moment a nation enters its new age, a tale of fierce determination, resilience, discovery and hope. Do You Know About the Skeletons in Your Family’s Closet?